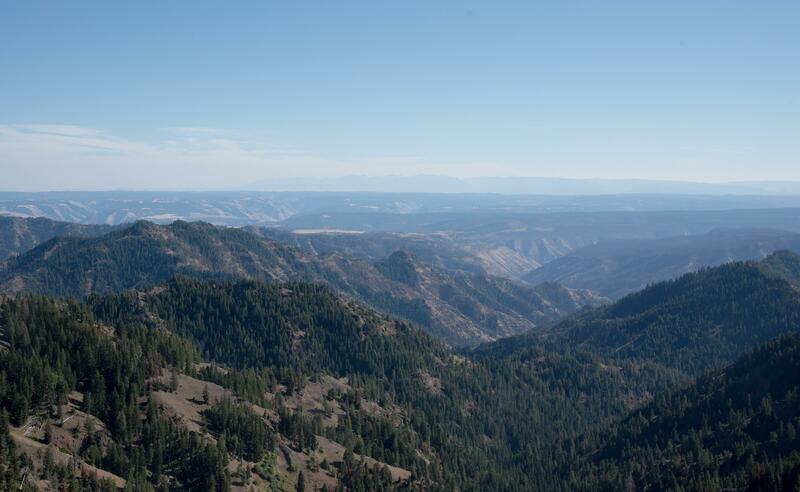 UPDATED: Wed., March 20, 2019, 7:13 p.m.
LEWISTON – In a stunning rebuke, the Washington, D.C., office of the U.S. Forest Service has withdrawn recently completed plans for management of the Umatilla, Wallowa-Whitman and Malheur national forests. More than 300 organizations and individuals, representing a wide spectrum of outlooks on the best way to manage federal forests, filed specific objections to the plans. Issued last summer, the plans promised to support more than 2,800 jobs and provide income of $133 million annually, while doubling timber harvest and opening vacant grazing allotments. Christopher B. French, acting Forest Service deputy chief in Washington, D.C., wrote in a letter to regional forester Glenn Casamassa at Portland that the plans do not violate any “law, regulation or policy” but said they are complex, confusing and likely to lead to future fights over forest management. French’s comments were vague, but he went out of his way to say the plans failed to meet the needs of local communities. Lawson Fite, legal counsel for the American Forest Resource Council in Portland, said even though the plans called for increasing timber harvest and forest restoration, the details of how that would happen lacked specifics. Fite called the withdrawal a positive step. Karen Coulter, of the environmental group Blue Mountains Biodiversity Project in Portland, said the plans lacked any enforceable standards and the agency provided scant details when it offered them up for public comment. Coulter said they failed to adequately address climate change, lacked the latest scientific information and eliminated what she sees as important safeguards such as a ban on harvesting large diameter trees and protecting streams from the negative effects of logging and grazing. Eric Watrud, supervisor of the Umatilla National Forest in Pendleton, Oregon, said Forest Service officials in Washington, D.C., and at regional headquarters in Portland want to step back and produce a document that is easily understood and can be implemented while supporting both local communities and the environment. Watrud said the agency will take the next several months to chart a path forward, and there isn’t yet a time line to fix the deficiencies identified by French. Published: March 20, 2019, 2:30 p.m. Updated: March 20, 2019, 7:13 p.m.